Damaso Tirona who was also known as “Itang Asong” was the founding father of Sabang Church of Christ Disciples. It was on his property that the small, old chapel of SCCD, which served as worship place for 80 years was built. His word saying that the church may utilize that piece of property even if only two or three are left worshipping on it was as binding as any written document like a Deed of Donation. 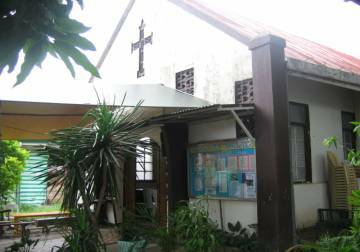 Thus, SCCD occupied it freely for 80 years that only the growing church membership necessitated the purchase of a property to build a bigger sanctuary and a school building according to DepEd regulations. Itang Asong outlived his wife Inocenta Mendoza and became a widower with four children, Felicidad, Sixto, Benjamin and Julia Tirona-Hayag. 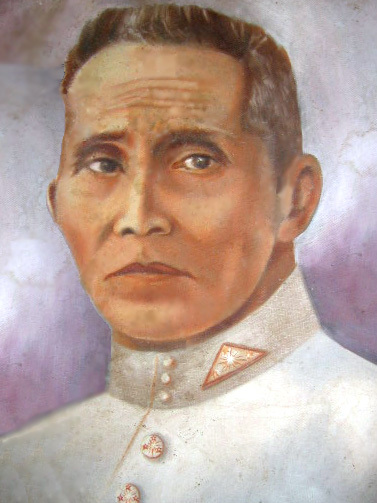 Felicidad died of child birth during the Japanese Regime, so only three of his four children, Sixto, Benjamin and Julia Tirona-Hayag joined him in serving God. Benjamin Tirona Sr. and Concepcion Remulla, now both deceased had seven children namely Beth Ramos, Violeta Jardiniano, Elvira Medina, Thelma Cunanan, Benjamin Jr., Rebecca and Fortune. As SCCD closes the doors of the old sanctuary on July 23, 2006, which is the last Sunday of occupancy of said chapel, the symbolic returning of keys shall be done with these Tirona children or any of their representatives. It was to them that the old church site was passed on together with the vision of Itang Asong. They kept the old man’s word for despite migrating to the US and have settled there for a long time now, they remained connected with their childhood church and supported her ministry faithfully. The new church site is just across the old and the new sanctuary faces the Tirona ancestral house. Indeed the great cloud of witnesses, SCCD founding parents continue to cheer us and encourages us to press on. May God find us all faithful in completing the journey just as Itang Asong and all others – Inang Juliana Tirona-Sapida, Itang Quirino Villanueva were found worthy to the glory and honor of God!.